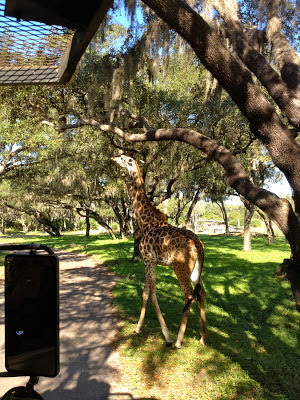 If there is a signature attraction at Disney's Animal Kingdom, it is Kilimanjaro Safari. It has been there since the beginning and was immediately the headliner at the park. Even with the subsequent openings of Expedition Everest and Kali River Rapids, it is still considered by many as the defining ride. Much of the vast amount of space of the theme park is comprised of the safari. The Magic Kingdom could fit into it. And, as a zoo exhibit, the safari is innovative. The experience begins in the queue. 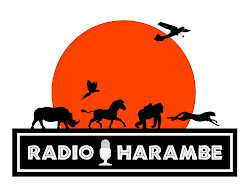 You wind through a forested path at the end of the village of Harambe to begin your journey into the Harambe Wildlife Reserve. Overhead monitors tell the story of some of the animals here. You will also walk through the ranger station. Take a look at some of the props and posters. Through much of this queue you are able to bring your stroller. It is only near the end where you need to ditch the stroller in the designated parking area. This is a good thing as the line can get long and letting the kids relax in the stroller might prevent an unwanted meltdown.